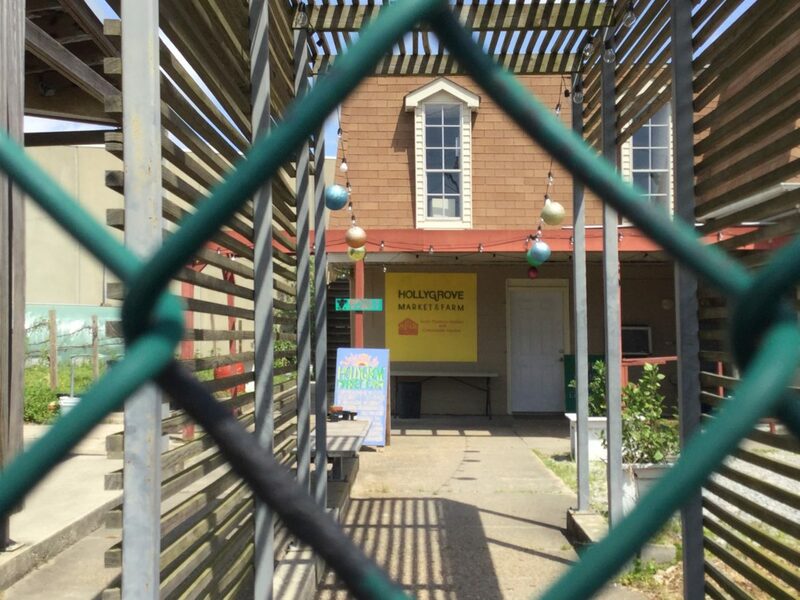 Whether Hollygrove reopens may depend on rethinking the basic business model. The news of Hollygrove Market & Farm’s closing has hit some shoppers around the city hard and some of its vendors even harder. Why did it have to close? As someone who has worked with local farmers for close to two decades, I was asked that very thing. Here is my take. It’s hard to believe in a food city like New Orleans, but success selling food produced in small batches (often produced without any synthetic chemicals) is not as easy as coming to town and opening the tailgate. The lack of multi-generational market farms operating within our state indicates there is a problem, as does the ebb and flow of the products available at our premier farmers markets in New Orleans, Baton Rouge and Covington. One could also look at other indicators, such as the lack of organizational support for sustainable farming practices or at the few truck farms remaining in climate-challenged parishes such as St. Bernard and Plaquemines. Those of us who facilitate the connection between farmers and eaters understand the appeal to busy urbanites of an “aggregator” food hub open six or seven days per week. But by my count five versions have bravely opened and quietly closed since Katrina, both nonprofit and for-profit models. It’s evidence we need to look deeper and think more constructively. That last closure — Hollygrove — is already hitting farmers hard. But what brought on Hollygrove’s trouble? My experience tells me that without the type and level of funding that grassroots initiatives attracted in the immediate aftermath of the levee breaks, the costs to purchase and then to package and resell locally produced farm food became difficult to manage. Add to that, the interruption of goods due to weather woes and farm issues. These challenges made sales hard to recapture once the good weather returned or a farm was back in business. Regularly addressing the perceptions of residents about healthy food and working to remove the barriers around community food systems also requires funding, which is hard to find. The final nail in the coffin may have been corporate grocery outlets starting to aggressively market food as “local,” a niche they had ignored for decades. No matter to them they they often don’t really have much available. In other words, both the community and the retail factors have to be considered in analyzing the Hollygrove closing. It’s something I’ve seen repeatedly over the years managing farmers markets and working with hundreds of regional food providers around the U.S.
Let’s hope some local funder rises up to rebuild Hollygrove, but let’s be realistic this time. The leadership of Hollygrove should be commended for talking openly about what happened as they consider reorganizing. As general manager Paul Baricos said in February after the shutdown: “We ran into problems, some of them self inflicted to be sure, but we did our best to keep it going.” Over the year prior, sales had fallen by a fifth to a third and expenses were going unmet, Baricos said. “Ideally, someone else will take up the mantle,” he added. As organizers, let’s not be impatient with our truck farmers and fishers and expect those who serve retail customers off the truck to also serve wholesale customers that need pallets of goods delivered to the supermarket loading dock. We need to foster regional production that takes different types of producers and buyers needs into account and offers them enough to make a living at it. The policies in place that restrict food production for family farms should be discussed and amended. The farmers markets need to keep an eye on chain grocery competition and shoppers’ changing tastes and tailor offerings accordingly. As shoppers, let’s try to fully understand the region’s production — where possible by participating in it. Take a ride out to a U-pick farm, stop in at one of the city’s micro farms or ask your market organization to plan a farm tour for customers. On the vendor side, choosing the right outlets and product mix is key to success. I often see producers saying yes to every offer that comes their way without more carefully considering what will work for them. Farmers need help selecting the right places to sell, based on a plan like this one available to Vermont farmers or this guide developed closer to home in central Louisiana. The wonderful specialty or small grocery stores and restaurants that do support local producers around town with sales at the back door can help producers by creating a standardized purchasing system, with quicker turnaround on payments. And how about creating a monitored label to assure that products called “local” really are. Let’s talk to each other. There’s an event Wednesday at Second Line Brewing in Mid City where some of the farmers and organizations working with farmers will come to chat and hear ideas. Please go. And don’t forget to patronize he remaining farmers markets. I know they are small right now, but if you slow down to ask questions and make a menu, you may be surprised how much you take home. By the way, the farmers markets in and around the city are almost all “producer-only” outlets, meaning no resellers allowed. That’s a high standard to maintain, but markets are doing it so they can hold each other to the promise of offering customers something unique and valuable. Buying directly is the best way to support local farms and fishers, and talking with those who produce your food can become a delightful part of your food-buying routine. Consistency of sales is crucial to these producers. That means rain or shine, windy or not, customers need to show up. That said, we must also respect the seasonality of food. Louisianans are lucky. Our climate allows for fresh catch and produce year round, but that doesn’t mean every item is available 12 months a year. And don’t forget the community-supported agriculture (CSA) movement. A few farms in the area offer CSA shares that entitle you to a box of produce on a weekly basis during their growing seasons. A CSA share is a shopper investment in a farm’s production, one that steadies farmers’ income streams and assures you the lick of the fresh harvest. Look up area CSAs on Local Harvest or search for them on social media. Let’s learn positive lessons from Hollygrove. The hiatus in its operation is a chance to deepen our understanding of regional food production and to work together toward wealth and health for everyone. I’m in. French Quarter resident Dar Wolnik is Senior Researcher at Farmers Market Coalition and a consultant to public markets and food systems across the country. She was the Deputy Director at Market Umbrella for a decade and a founding member of New Orleans Food Co-op and the New Orleans Food and Farm Network. She is researching a history of area food-buying clubs and the policies that restrict locally-led community food strategies.